With pretty much any problem the first road to recovery is admitting your mistakes. As horseplayers we all made blunders this past year. In fact, I dare say that if we had a dollar for every mistake we made in 2011, we would have enough funds to go after one of those big Southern California carryovers. It is never too late to learn from the mistakes we made over the past year and make corrections for future days at the parimutuel windows. In fact, it is vital to our success as horseplayers. My father, one of the best handicappers I know, often reminded me that horse racing will teach a person to lose better than any other sport or recreation. Wise words, indeed. Anyone who has played the horses long enough understands that this game can be like a roller coaster ride. Your emotions can be riding sky high one moment and, less than 25 minutes later, plummeted to rock bottom. Successful horseplayers are able to ride out the low times in order to reach the peak moments. Winning players also recognize their faults and consequently make fewer mistakes than their competition. And who is that? Their fellow horseplayer. If you’re not pleased with the results you had in 2011, then check off the following mistakes that you made this past year. Put a star next to the areas you really need to improve on. 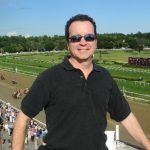 1- You know that you are selecting a high percentage of winners, but your wagering strategies have caused you to lose money on days when you should have won based on your handicapping. 2- Instead of selecting prime wagering opportunities, you are betting nearly every race you handicap or every race on the card. 3- You are using the same general information to handicap that the majority of the general public utilizes. If the only thing you are using to handicap is the track program, it is not going to be easy to out-handicap the thousands of others who are using the same program. 4- You are swayed easily by others’ opinions, lacking conviction in your own selections and analysis. What you hear on TVG or HRTV, for example, influences how you will wager on the upcoming race. 5- You concentrate most of your wagers on low-percentage wagers, e.g. trifectas, superfectas, Pick-4s, Pick-6s, etc. 6- You look for the quick fix, such as a hot tip from an insider or some mail order ‘winning’ system. 7- You blame a losing outcome on shenanigans, instead of searching for the clues that pointed to the rightful winner. 8- You pay no attention to how the track is playing, ignoring any potential track biases at play. Are you betting closers on a day when early speed is dominating? Are you wagering on running styles that rarely win at that distance and surface? 9- You wager with scared money, having not set aside a bankroll strictly for horse racing investments. 10- You lack a plan or strategy for wagering. It is commonplace for you to get online with only a few minutes to post without knowing what wagers you plan to make. If you’ve been playing the horses long enough, then chances are you have committed all of the mistakes listed above. Hopefully, you are at a point where you have only committed a few on this list within the past year. The difference between the everyday handicapper and the successful horseplayer is who continues to make the same mistakes and who does not. Sit back and ponder which mistakes you have committed and which have really cost you on the bottom line. Consider what steps you need to take in order to avoid these same mistakes in the New Year. If you believe that your handicapping is above average, then look at your wagering strategies. Are you swinging for the fences every time, trying to nail the trifecta, instead of cashing a nice win wager or exacta play? Knock your bets down a level. If Pick-3 wagers have been unsuccessful, then concentrate on the Daily Double instead. The inevitable result is that you will cash more tickets and boost your confidence. 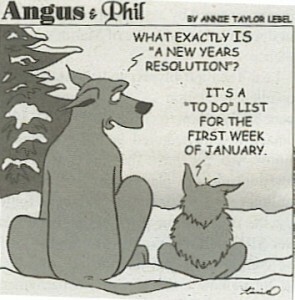 Make a horseplayer’s resolution for the New Year. Correct the mistakes you’ve been making and avoid these pitfalls this season. By doing so, you’ll immediately have an edge over the wagering public. When you minimize the number of mistakes you make on a daily or weekly basis, your confidence will soar and you’ll be winning more often. 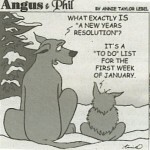 Isn’t that a resolution worth keeping in 2012?